Good Morning Everyone… Let’s talk about Hot Topic! Fire Protection! 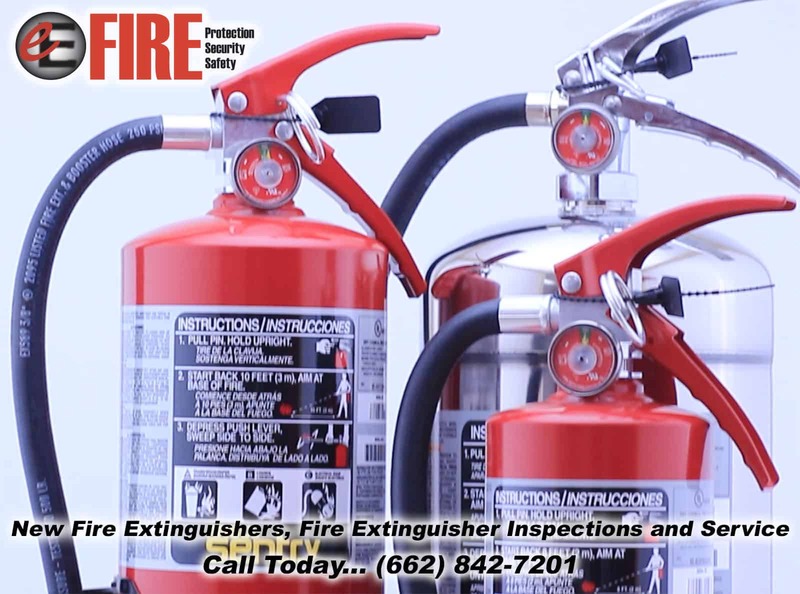 E Fire is Your Source for New Fire Extinguishers, Fire Extinguisher Service, and Fire Extinguisher Inspections in Tupelo MS. If you have questions about your fire extinguishers, questions about fire codes, questions about what types of fire extinguishers your business needs.. Call the Experts at E Fire (662) 842-7201. We are always happy to help and answer your questions. Answers to commonly asked questions..
What is the best fire extinguisher for my home? We recommend an ABC Dry Chemical Fire Extinguisher for your home. Where should my Fire Extinguisher be located in my home? Always keep a Fire Extinguisher located closed to the kitchen. Fires can occur while cooking. Do you store Gas, oils, or flammable materials in your Garage? You should install a Fire Extinguisher within 30 feet of flammable areas. How many Fire Extinguishers do I need in my business? Without knowing specifics this is a tough question to answer. There are so many factors to consider, But remember We are always a phone call away. All Fire Extinguishers should have an Annual Inspection performed by a Certified Fire Protection Company. You should visually inspect your fire extinguishers at least once a month. And some insurance companies require Quarterly or Semi-Annual Inspections. Do I need Fire Extinguisher Training? YES! Everyone should go through some type of Fire Extinguisher Training. Knowing what to do in a Fire Emergency is a must. Does E Fire provide Fire Extinguisher Training? Yes. We provide class room style training and hands on Fire Extinguisher Training. Thanks for checking out our post on Fire Extinguishers. Those were some of the commonly asked questions. If you have a question about Fire Extinguishers, Fire Extinguisher Sizes, Fire Extinguisher placement, Fire Extinguisher Types, Fire Extinguisher Training, please call us. We’re E Fire Your Fire Extinguisher source for Mississippi.